U of R Professors Pat Geary (creative writing) and Penny McElroy (studio art) instructed the students in poetry and collage, with the overarching theme of dreams. 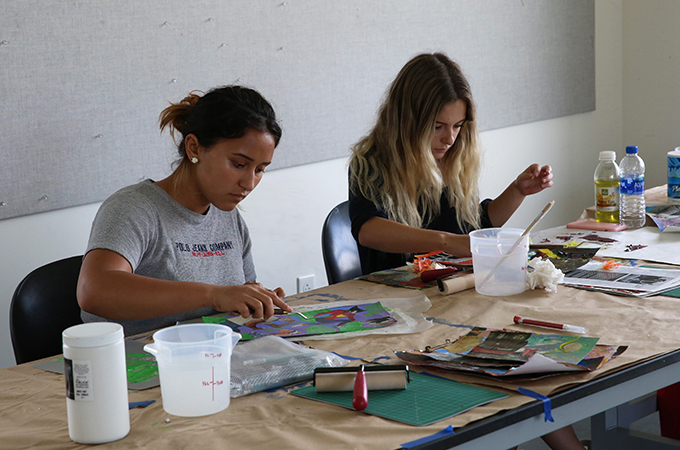 Recommended to the Summer Arts Program by their art teachers, the students were able to participate free of charge, thanks to continued support from donors Linda J. Roesch ’62 and Rick Roesch, as well as the College of Arts and Sciences Dean’s Office. This summer’s program was the sixth iteration. 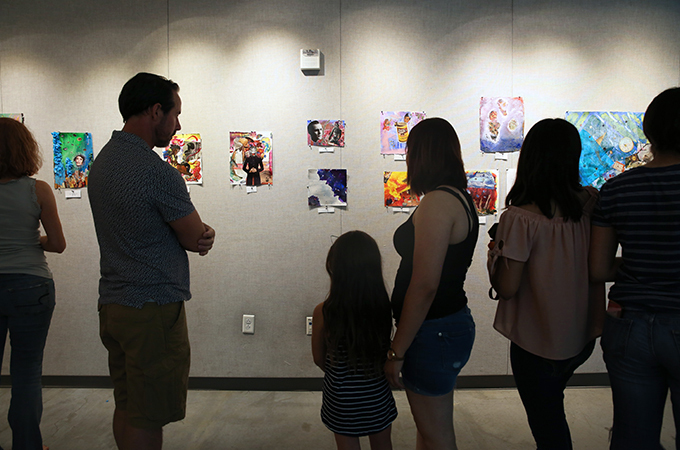 After working and receiving feedback on their art and writing every day, at the end of the week the students displayed their pieces in the Strand Gallery in Ann Peppers Hall for their parents, along with faculty and friends of the University, to enjoy. A few brave souls even read their poetry at the reception. The students’ pieces were compiled into a booklet titled Subconscious Minds, which students and parents proudly carried out as they left the show. 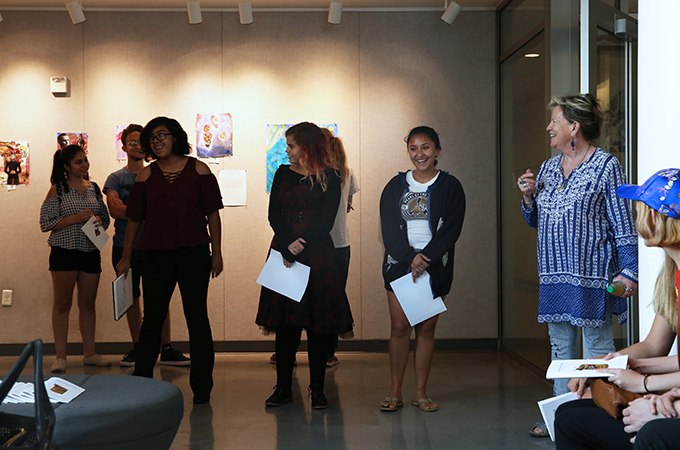 For more information about the program, contact Janet Thorson, U of R Studio Art administrative assistant, at (909) 748-8360.